So, I bought a new stamper. 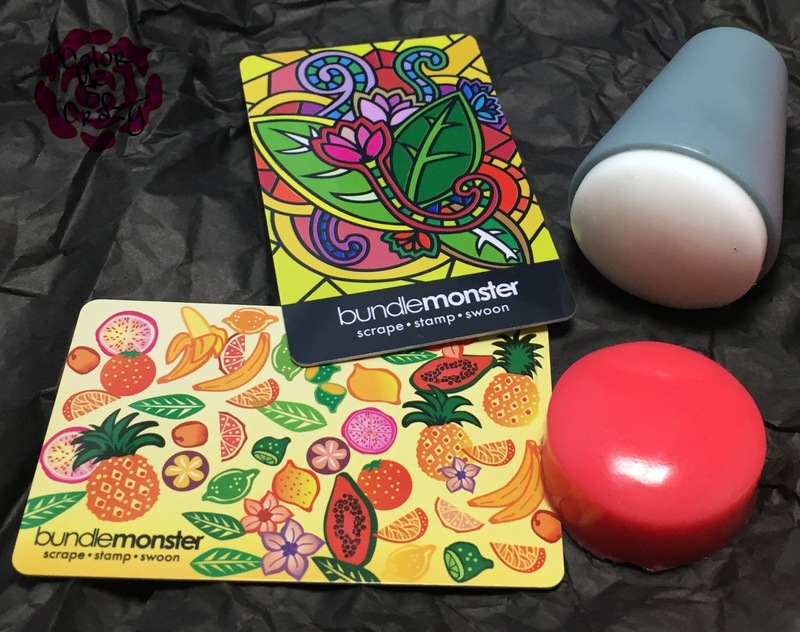 It's a giant squishy stamper from Bundle Monster and it's pretty awesome! 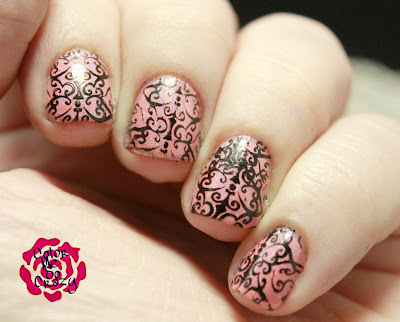 I've been experimenting because I've been wanting to get back into stamping pretty bad. I kind of love it. It's super squishy and super fun! It picks up really nicely and stamps down just as nicely. I used a design from Dashica Big SdP-S sheet. 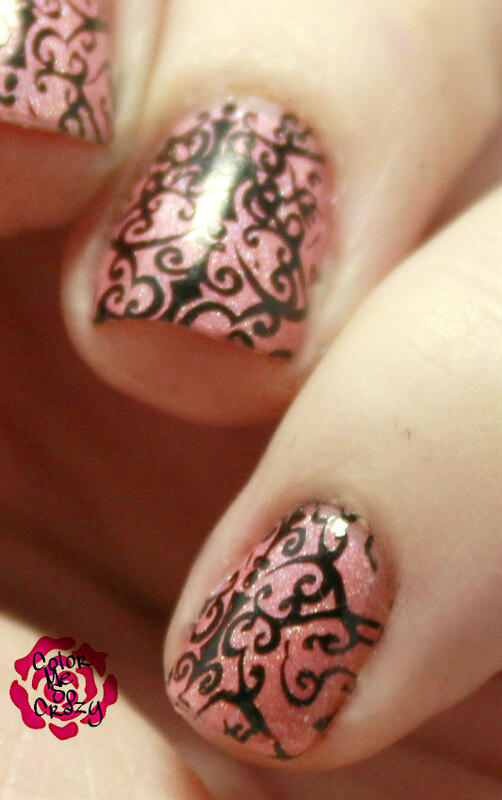 I love the fun geometric designs on there. I went for a fun design. It reminds me of a super fancy chandelier. It wasn't one of my resolutions but I really am going to go hard and try a lot of stamping in 2016!